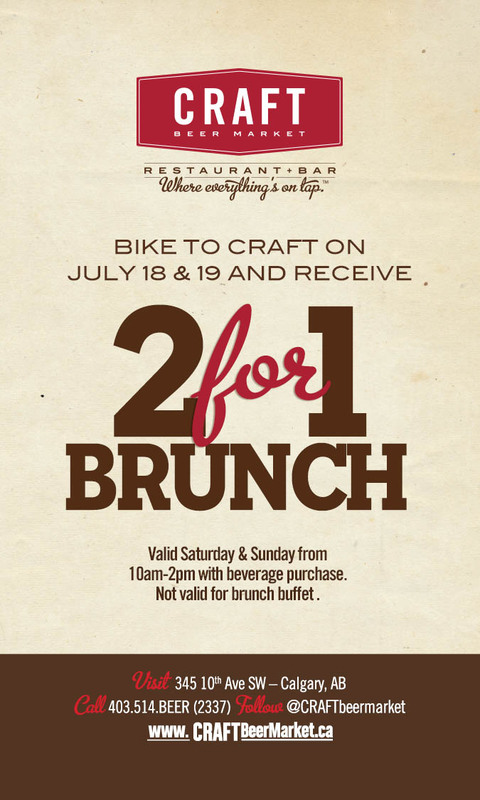 To celebrate the launch of the cycle track network and as part of Cyclepalooza, Craft Beer Market is pleased to offer 2 for 1 Brunch on Saturday and Sunday to anyone that arrives by bike. Go for a morning ride to work up an appetite, or make a family outing of exploring the cycle tracks. Craft Beer Market offers over 100 craft beers on tap, and a Half Pints Menu for kids under 12.